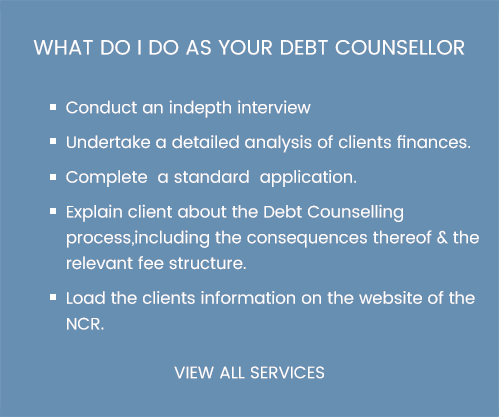 Debt Counselling was introduced to provide a process for helping a customer with over indebtedness. It also provides a consistent system of debt restructuring, enforcement and judgement, which places priority on the eventual satisfaction of all responsible for the consumer obligations under the credit agreements. 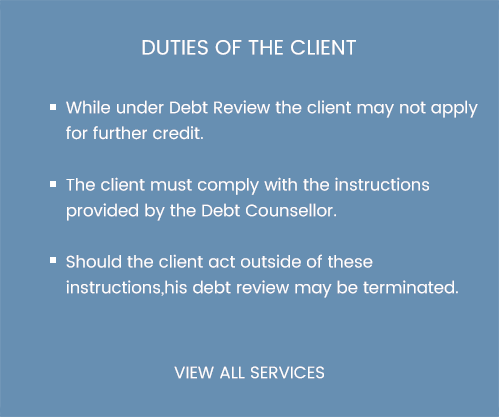 The process of Debt Counselling was developed to offer a way out for consumers who cannot meet their monthly obligations under current credit agreements; after all basic living expenses have been paid. 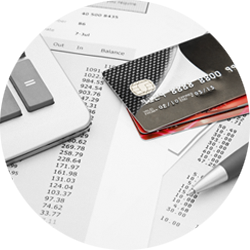 Basic living expenses get priority before making provision for credit repayments. Debt counselling provides you with more breathing space without getting into trouble with your creditors for short payments. Debt Counselling can be summarised as a procedure where a person, who can no longer afford to meet all his monthly debt obligations, can apply with a debt counselor to negotiate on his behalf with his creditors for reduced monthly repayments.